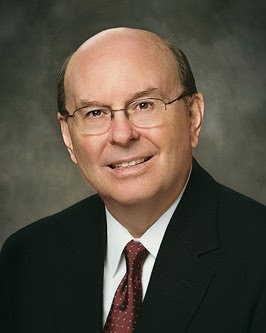 "In all of our stewardship efforts, we follow Jesus Christ. 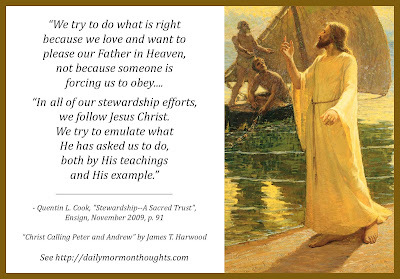 We try to emulate what He has asked us to do, both by His teachings and His example." Do the choices and actions of my life matter? Does God care about what I do? Will I be held accountable? Elder Cook explores the implications of these thoughts in this discussion of our eternal stewardships. While many today believe all that matters is personal pleasure and self-gratification, he offers a strong testimony that our actions do make a difference, and that one of the great eternal keys to happiness lies in loving God and following the Savior.